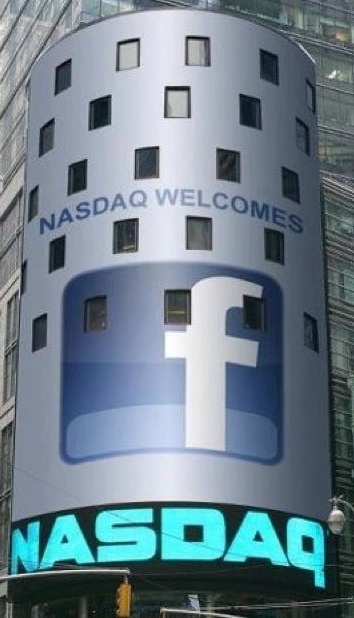 Facebook shares are supposed to go live on the NASDAQ market in about 20 minutes. But what happens in the next crucial 15? We caught up with NASDAQ’s Bruce Aust, who is the executive vice president and head of the global corporate client group there. After several years of carefully courting the company’s management, NASDAQ beat out rival New York Stock Exchange for Facebook’s hand. NASDAQ is usually is the exchange of choice for most tech companies like Google and Apple, but NYSE has snuck away with a company or two in the last year like LinkedIn. Companies generally go live after market opening at around 10:30 or 11 a.m. Eastern, he said. About 15 minutes before shares start trading (e.g. right now! ), the underwriters of Facebook’s offering like the offering’s lead Morgan Stanley get together and discuss current market orders, he said. “The market makers have a chance to work on price discovery to find the opening price,” he said. “If there are more orders coming in than they expected, they may choose to delay it in five minute increments.” Update: Yep, it’s delayed by 5 minutes! This has happened in very recent, popular IPOs like Splunk. So while Facebook is expected to go live at 11 a.m. Eastern, it could get delayed if there is insanely high demand. Over the past few days, the market makers have had a chance to sort out orders at Facebook’s final price of $38 a share. But right around market opening, many new orders often flood in amid the hype. It can be a little unpredictable. But after that opening price is settled, Facebook will move forward just like any other stock traded on the exchange. “Once we’ve got the buyers and sellers matched off, it’s off to the races,” he said.